Take the road less traveled and make a few discoveries of your own. It is rare to find a place that offers the whole family a location to explore and discover how we interact with nature. This is a trip that guests speak of forever. When you are looking for an answer to one of life’s many questions or to center yourself, you need look no farther than where you sit or lean against one of the many sweet gum trees. You are there… and then, and only then, do the words of one of our greatest adventurers, as well as our 26th president, come to life and fill you with the spirit of life and living. Survive The Elements– A Wilderness Training Hike . 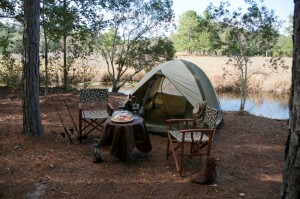 Get into the wild on a survival training hike in the Ocala National Forest .. Learn the tricks of always-being-prepared , so your next trip into the wilds will be a safe fun and great adventure. Get Hands on experience with essential equipment and must-have gear . Focus on plannning , training and navigation with and without a compass. Making the best choices while in the back country is key . Equipment choices ,planning trips and what priorities that need to be addressed prior to leaving as well as on the trip.. -this class has it all ..
Problem– Hiking in the great outdoors is an excititng adventure , but if you are not prepared to face the elements , it can be a life threating activity . Solution- This 3/4 of a day course, yes just 6 hours can train you to handle nature in all of her incarnations . We will go over and teach you the essentials of planning a wilderness trip, packing right and surviving in case the worst happens. You will get hands on equipment training so tools will be second nature . From water filtration to gear selection , its a unique course designed to prepare you for any contingency.. Regular price is $100 dollars per-person now on special for $75 .00 with an overnight stay at The Griffin Ranch .. Call today to make your reservations and check on the dates and availability of the next class.. (888) 414-2275. At any time that you have five or more in your group, a private group class is available. What better way to see the backcountry than on horseback .. After a light breakfast in our out side cafe we will speed a short period in the class going over basics to any survival situation as well as situations that may arise while on horseback… We will than load up and head out to one of our many training area .. for a day long ride and adventure handling real life situations that will make each of you old hands and provide for the knowledge to get out of most any problem when you encouter it on the trail or in the wild .. $250.00 per rider which includes the horse.. and stay at the ranch .. With your own horse $185.00 Meals included..